Pretoria - Bulls assistant coach Chris Rossouw admitted that complacency may have been a problem with his side ahead of their thrashing at home at the hands of the Chiefs. According to supersport.com, Rossouw fronted up after the team's 56-20 loss to the New Zealanders, a shock result given the good start to the season the Bulls had given themselves, and their sheer inability to cope with the pace they encountered on Saturday. 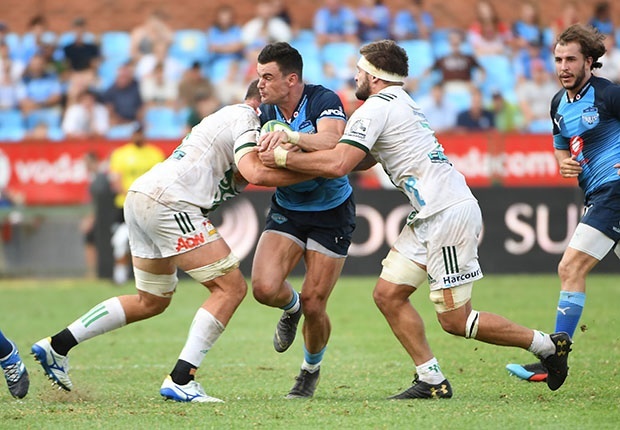 The result was a wake-up call and a harsh one that the Bulls are trying to work their way through ahead of their derby match against the Sharks in Durban on Saturday. While the Bulls are trying to publicly put it down to an off-weekend - a thunderbolt as Rossouw calls it - there are worries that they may have been exposed in certain areas - especially the breakdown - and that they need to fix this if they are to have any chance of achieving their hopes of making the playoffs this year. One swallow doesn’t make a summer they say, but it does give an indication of where their weaknesses are and if the Bulls aren't able to counter those, other sides will exploit them just as easily. “We were bitterly disappointed, obviously we didn’t perform the way we wanted to, but in this competition you are going to have days like that. So it will toughen us,” Rossouw believes. The former Stormers pivot feels that it was more the desperation from the Chiefs than their own complacency that let them down, but didn’t rule out that the team were a bit overconfident going into the game. “I think complacency is probably your biggest challenge in any competition. You will never know, but we knew the Chiefs were in a desperate place and we had a great training week last week, which is strange. Maybe there was some complacency but we need to make sure it doesn’t happen again. Rossouw said what hurts more is the loss on their home ground, and the fact they will now need to make up those points somewhere away from home. “The fact is - it doesn’t matter who you play against, you play on your home ground. The Chiefs were in a very desperate position and it would have been the first time they had lost five or six games. They wanted it more than us, and played good rugby. We allowed it, but it doesn’t matter who we play, we are proud of our home ground, our fans and we were really disappointed in the result. The Bulls will name their side to face the Sharks on Wednesday, with Saturday's clash at Kings Park scheduled for 15:05.